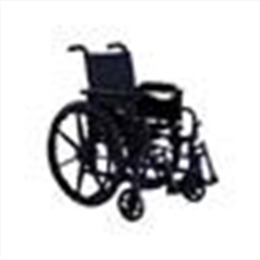 The Invacare 9000 Jymni Wheelchair offers your growing list of pediatric patients versatility, functionality and maneuverability. This chair is specifically designed to suit the needs of your smaller patients and offers features like a durable carbon-steel frame and easy adjustability. Dual-axle positions allow for quick and simple seat-to-floor height adjustments of 15" and 16"
Overall Width: Overall Width: 21"
Seat Width (2" increments): 10"-16"
Overall Depth: Overall Depth w/o Riggings: 30"
Seat Depth: 10", 12", 14"
Seat To Floor Height: 15", 16", 17"
Caster Options: Caster Height: 6"
Wheels: Wheel Height: 20", 22"
Product Weight Capacity: 125 lb. Shipping Product Weight: 54 lb. Dimensions: Carton Dimensions: 32" x 14" x 38"